Clean power is needed now more than ever. EMI, transients and harmonics not only destroy sensitive electronic equipment, but cause huge inefficiencies in your power distribution, leading to energy losses that cost you 24/7. 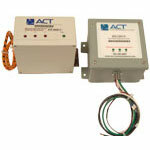 Installing ACT Power Filters can be your first line of defense against dirty power.